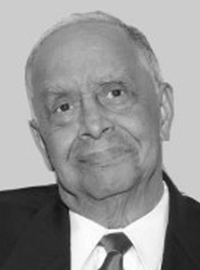 Long-time Tuskegee University administrator and faculty member Dr. H. Frank Leftwich passed away on Friday, March 15. Dr. Leftwich, affectionately known as “Coach,” served in a variety of capacities that spanned more than 50 years including professor, department chair, interim provost, interim dean, and athletic director. Services for Dr. Leftwich are scheduled for Saturday, March 23 at 11 a.m. at St. Joseph Catholic Church, 2007 W. Montgomery Rd. in Tuskegee. For more about “Coach” Leftwich, visit the Tuskegee University Athletics website.